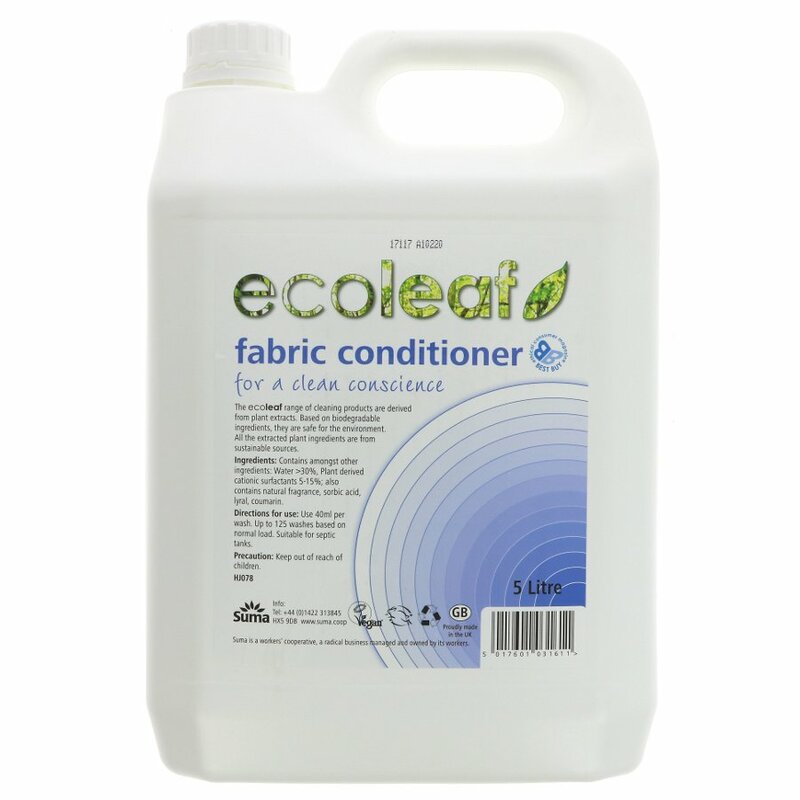 Gentle yet effective, Ecoleaf Fabric Conditioner is a natural and environmentally friendly softener, derived from plant extracts and based on biodegradable, sustainably sourced ingredients. Vegan friendly and brought to you in recyclable bottles, Ecoleaf Fabric Conditioner is guaranteed non-toxic and totally chemical free, keeping your clothes beautifully and naturally soft, and your conscience squeaky clean. Ecoleaf Fabric Conditioner is an Ethical Consumer Best Buy product. Water >30%, Plant derived cationic surfactants >5%: contains natural fragrance and preservative. Use 40ml per wash. Lasts up to 125 washes. The Ecoleaf Fabric Conditioner 5 Litre product ethics are indicated below. To learn more about these product ethics and to see related products, follow the links below. 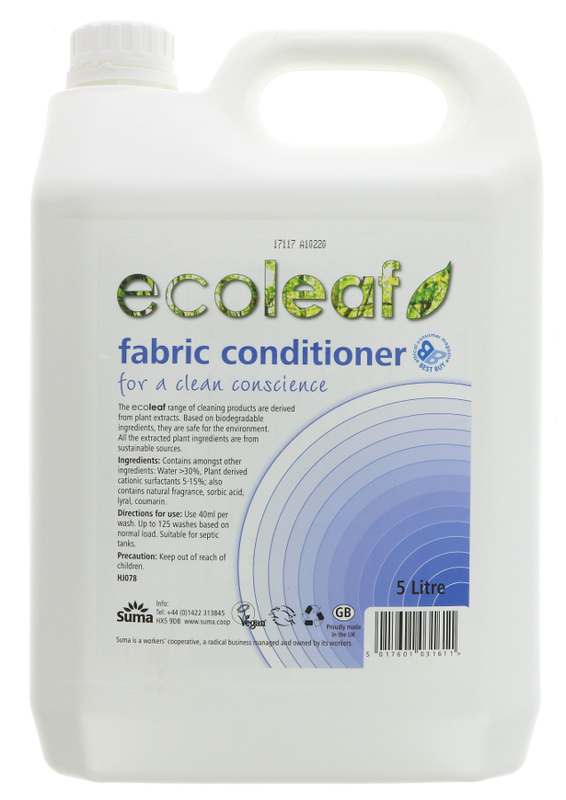 There are currently no questions to display about Ecoleaf Fabric Conditioner 5 Litre.